I know ive not posted on here for a long time but I am just trying to help out a friend who cant go know from ill health !! 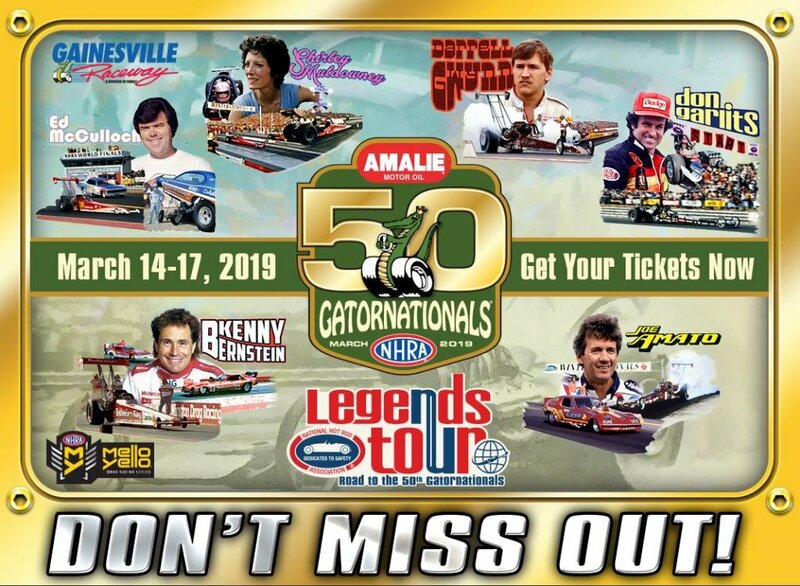 so ..............there is a party of us going to the 50th gator nationals and unfortunately due to health 2 have had to drop out last minute so have 2 tickets for the Friday Saturday and sunday of 15th 16th 17th of march . the word is that Shirley Muldowney and don garlits will be recreating that famous 80s race .